The Dallas String Quartet, an international Internet sensation known for their fusion of classical and contemporary music, playing both traditional and electric strings, will take the stage Tuesday, Oct. 23, 7 p.m. at Jeannie Miller Auditorium. Every year for the last 71 years the Glenwood Springs Community Concert Association has been entertaining the Roaring Fork Valley with music. The association was developed in 1947 by community members who wanted to bring culture through classical music to the rural areas. “We want a variety of music, maybe some jazz, dance, classical and some popular stuff,” board president Sue Ludtke said. In the 1960s the nonprofit became a membership-based organization, helping bring high-level performers yearly with the ability to budget and pay for the concert series. The association still has memberships available for this season, with the second concert in the series happening at 7 p.m. Tuesday at Glenwood Springs High School. 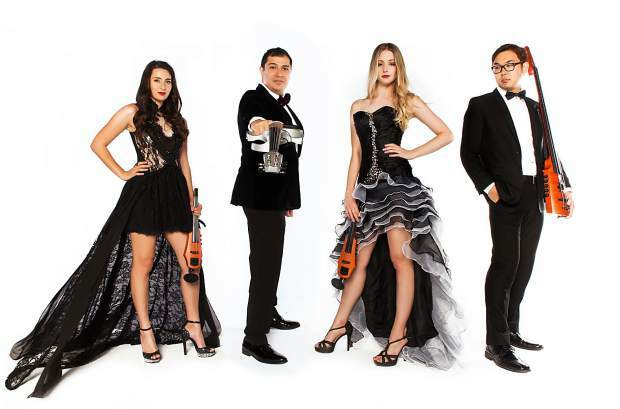 The Dallas String Quartet, an international internet sensation known for its fusion of classical and contemporary music, featuring both traditional and electric strings, will take the stage at Jeannie Miller Auditorium. Normally, a concert like this would cost $40-$50 in Denver, Burg points out. With a membership, the association concert series costs around $8 per concert. As part of the association outreach program, DSQ members will be playing and discussing their music with music students at Glenwood Springs High School Tuesday morning. After Tuesday’s show, the series will take a break during the holidays before starting back up in 2019 with acts including baritone Leon Williams on Feb. 12; rock/opera mash-up sensation the Jersey Tenors, March 2; and America’s Got Talent finalists Sons of Serendip, wrapping up the season on May 4. “We really provide a diverse offering of wonderful music of varied talents, musicians all the way from classical to bluegrass, at very affordable prices to the public,” Burg said. Ludtke and the association board are in the process of securing the lineup for next season. “We have a very nice variety for next year; some really wonderfully talented people coming,” she said. “We encourage every one to come enjoy the music, and become members and support the organization in any way they can,” Burg said.